One-day meetings are organised by committee members on an ad-hoc basis whenever there is sufficient interest in a specific topic. Their scope is as broad as the society’s remit but they typically have a broad aim of educating or generating discussion from a wide audience around a particular topic. A list of previous one-day meetings is available here. Venue: One-day meetings, like the ASM, can take place anywhere. The cost of the venue has to be covered by charging for attendance, though the Society underwrites these events. Financial administration: Set up a financial system within your own university and approach SSM at the end with financial records and a cheque if there is a profit, and financial records and a request for a cheque if there is a loss. Costs: When estimating the cost, include the cost of conference facilities including lunch and refreshments for attendees; LCD projector; speakers’ costs for travel, accommodation, subsistence and a token of appreciation; and printing, telephone, post and administrative help. When determining how much to charge for attendance, go for breakeven, with an estimate of attendance between 30 and 80 people. Charge less for SSM members and low income groups. For example, £35 -£70 for SSM members, £60- £90 for non-SSM members, and £10- £20 for non-waged (2012 prices). The fee will depend on both the numbers expected and the costs, for example whether rooms can be obtained without charge, and whether speakers and facilitators require reimbursement of expenses and/or honoraria. SSM encourages events to be inexpensive, to enable more people to attend. 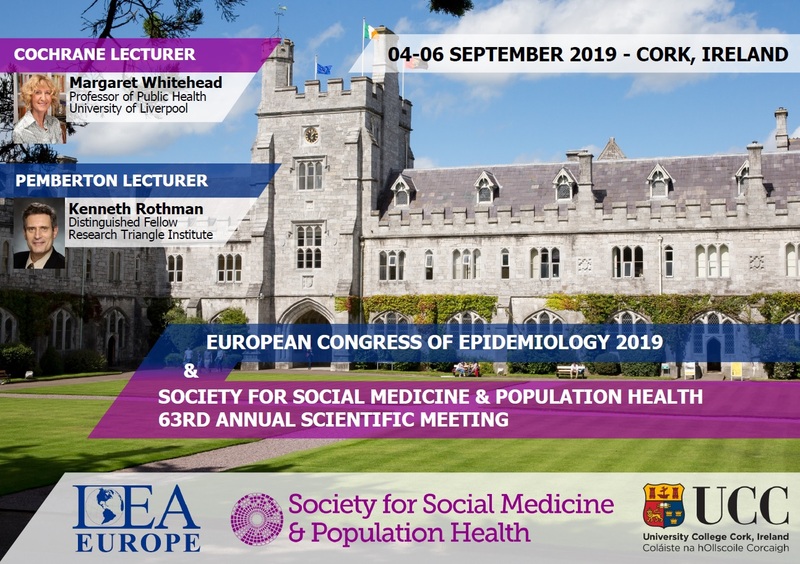 Advertising: The conference details can be placed on the SSM website, Twitter, Facebook and in issues of the SSM Newsletter and a monthly SSM email free of charge. If it suits your target audience, advertise free in monthly emails from Faculty of Public Health, via Public Heath Observatories / Public Health England, Heads of Academic Departments of Public Health (HOADS), relevant jiscmail lists, newsletters and websites of other organisations, etc. Evaluation: Report back to the SSM committee. You may want to evaluate the day using a short evaluation sheet in the delegate pack. Higher response rates are generally achieved by emailing delegates shortly afterwards with a link to an online survey, eg using Survey Monkey, than from paper forms distributed at the time.